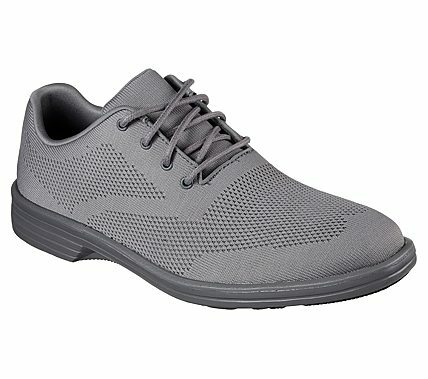 Rethink your dress style with the light, comfortable and handsome look of the SKECHERS Relaxed Fit®: Walson shoe. DressKnit® nearly seamless knit fabric upper in a lace up dress casual plain toe oxford with woven-in detail and stitching accents. Air Cooled Memory Foam insole.